Some say that the late May half-term holiday is the best of all to head away. 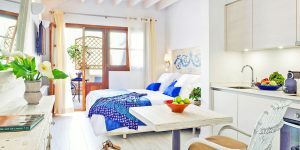 The weather is at its best around the Mediterranean, not as scorching as high summer can be for little ones; prices are more reasonable than in peak season; and, for us in the UK, a convenient bank holiday means one day less of precious holiday time used. 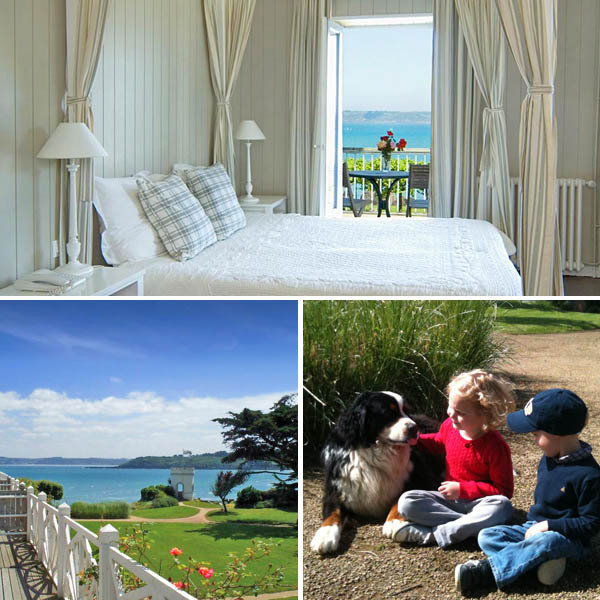 We’ve chosen 10 superb places to bring your family this summer mid-term holiday – check here for our full availability list. At the end of the earth (Finistere) you’ll find this New England styled marine spa hotel overlooking the turquoise Atlantic Ocean. Outdoorsy families have 9 sandy beaches to choose from, rock pools to explore, and a heated indoor pool to splash in. There’s a sailing school nearby, the area is known for windsurfing and kitesurfing, and there are boat trips to be had. Within a pretty walled garden, this pair of tranquil stone villas (each sleeping 4-5, plus an additional annexe for grandparents) is centred on a sparkling pool and deck, and come with playground and barbecue. The adjacent shingle beach is safe for swimming, there are sandy ones 10 minutes’ drive away, and there are caves to find and kayaking to enjoy. The Jurassic Coast is terrific for families: fossil-hunting, donkey-riding bucket-and-spade beaches, Abbotsbury swannery, farm visits, walking, picnics – an endless list of adventures! 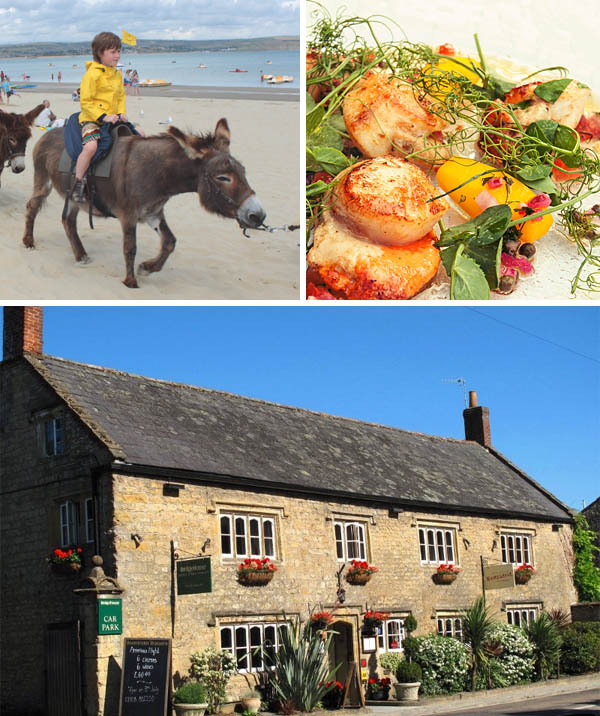 Base yourselves at this cosy characterful hotel, just 6 miles inland in a mini-market town, which has Family Suites, offers early suppers for kids, and babysitters can be booked if parents want to enjoy the brilliantly executed food in the restaurant a deux. Your kids will view the heated swimming pool as the main draw about this collection of cabins (all of which can take families). 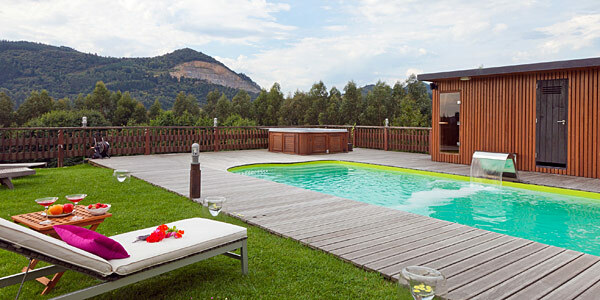 But you’ll be as delighted by the gorgeous long views across forested hills, the flexibility (and value) of being able to self-cater (plus fabulous local produce to sample), the nearby beaches, and local sights including Guernica and Bilbao. And its only 40 minutes from the airport. 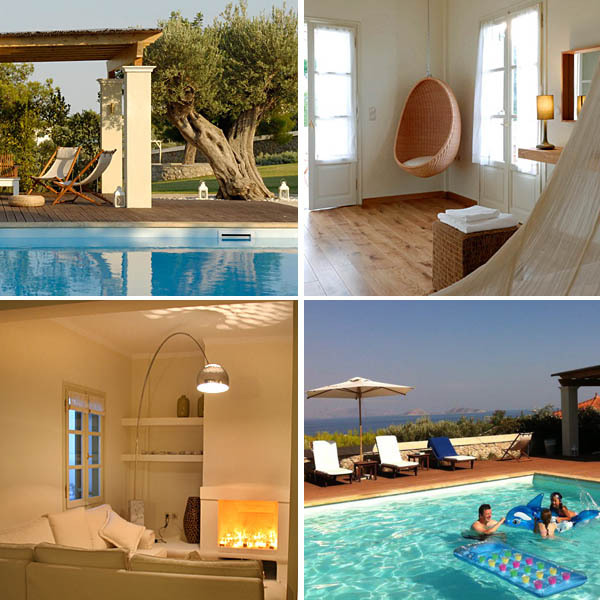 Only a short hop from Athens is the beautiful Saronic island of Spetses, and on a secluded hillside you’ll find these three adjoined self-catering 1-4-bed villas (take one or all according to the size of your group). There’s a shared pool with a shallow end (the largest on the island we’re told! ), and large lawns to romp around. 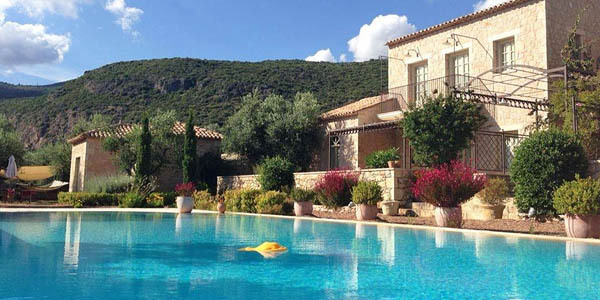 Beaches and boat trips await, or simply relax under the olive trees. 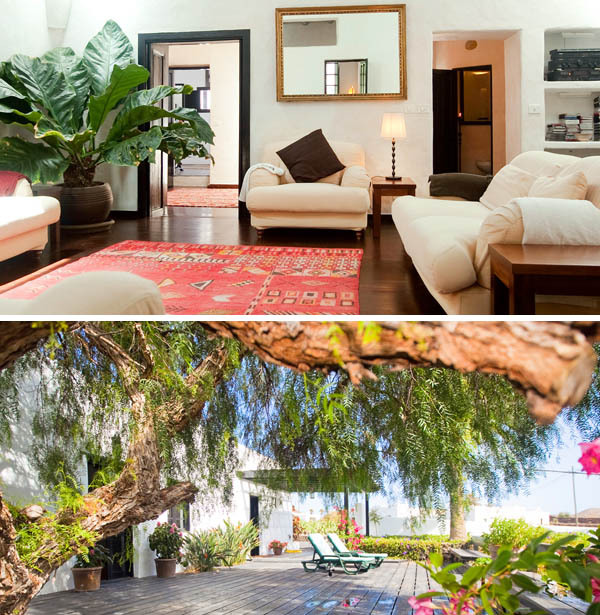 Take one restored 2-3 bedroomed farmhouse only 25 minutes from the airport, add a splash of swimming pool, a sauna, warm and helpful owners, plus surfboards, buckets and spades and golf clubs, and you have the recipe for a totally relaxed family holiday. 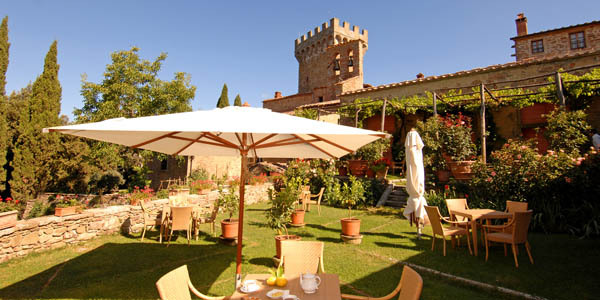 You get a generous welcome hamper on arrival, a well-equipped kitchen, and a supermarket is just 5 minutes away. Here, the living is easy. You can’t beat a fortified medieval village for setting the imagination alight: explore its warren of narrow streets topped by a castle, or spot wild boar and rabbits on the estate. Head out on mountain bikes, return to splash in the outdoor pool. There’s a choice of comfortable great value apartments, even a 4-bedroom house; you can self-cater or dine in the restaurant as preferred. 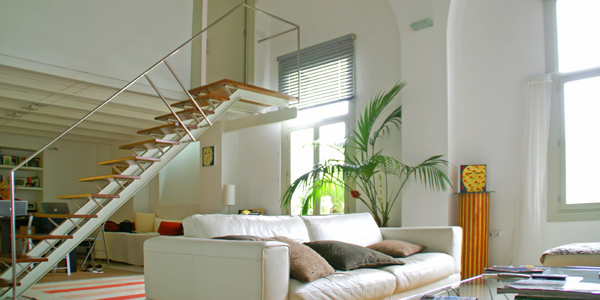 Live like a local in this stylish light-filled apartment in the heart of this historic and fascinating town. You get a wonderfully equipped kitchen, markets and restaurants on your doorstep, the old town is car-free so easy to stroll around, and there are puzzles, books & DVDs to amuse the kids after sight-seeing. There are playgrounds, plazas, a zoo, Botanical Gardens, a waterpark; beaches are only 20 minutes’ drive away. 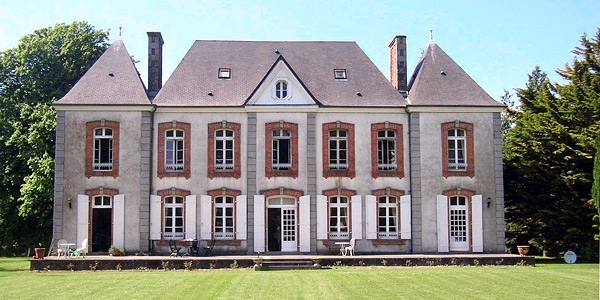 This chateau complete with four acres of grounds offers exceptional family holidays. Interiors are homely and spacious, there’s no standing on ceremony, and kids facilities include playground, woodland den, gypsy caravan, croquet, bikes and trampoline. Stay in one of four large two-bedroom suites and enjoy communal dinners most evenings, or opt for the self-catering gites in the former stables. You’ve a choice of stylish apartments across several 19th-century buildings in one of this fascinating city’s most eclectic neighbourhoods. 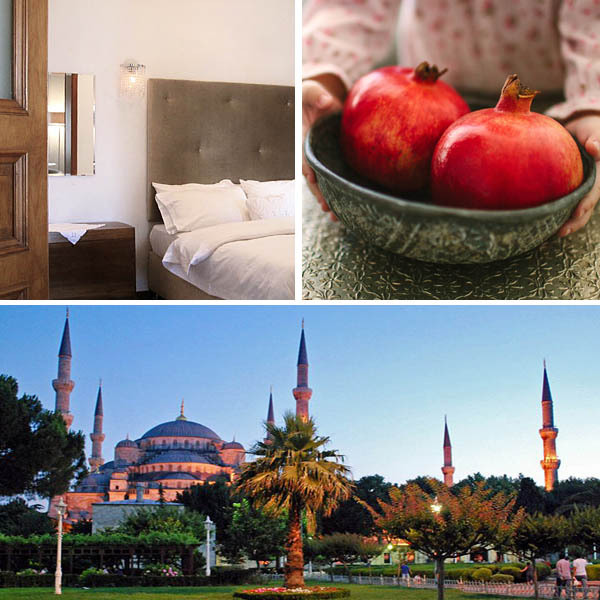 Kids will delight in the glorious and gory history of the Topkapi Palace, boat trips up the Bosphorus, and shopping in the colourful Grand Bazaar.